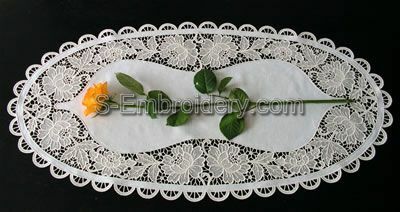 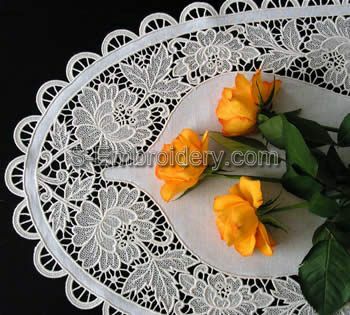 This machine embroidery table lace set in combination with a suitable fabric will produce an elegant table runner measuring 33 x 17.3 inches (84 x 44 cm). 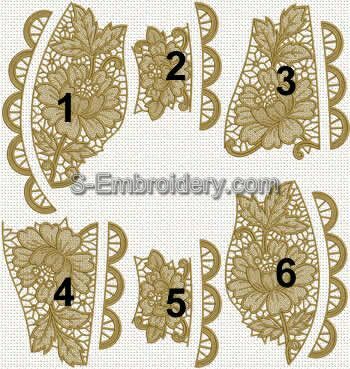 The set includes 6 freestanding lace machine embroidery designs. 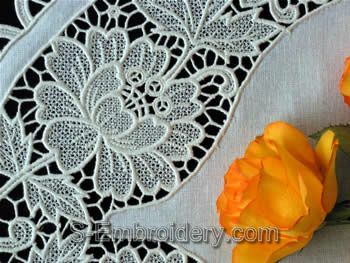 You receive 6 embroidery files as well as design information and illustrated instructions in PDF format.